The 26-year-old former One Direction star took to the social media platform on Wednesday (03Apr19) to launch an expletive-ridden tirade, in which he wrote: "How about you all go f**k yourselves with your irrelevant bulls**t."
He went on to slam the unknown person for being "not who they said they were", and concluded: "This ain’t a place for feelings." Following the rant, fans began to speculate about who the words were aimed at, with some suggesting they could have been directed at model Gigi, who Zayn reportedly split from last year. However, the Pillow Talk singer dispelled those rumours as he returned to Twitter on Thursday evening, writing: "To any dumb f**ks out there that wants to make they’re own stories up (sic). "My tweet was not about Gigi Hadid so leave her the f**k alone she is the most amazing woman I’ve ever known," he continued. "And does nothing but love and support me when lord knows I don’t deserve it." Zayn and Gigi began dating in November 2015, but called time on their relationship in March last year (18), announcing the split by posting statements on their social media profiles. The singer and supermodel later rekindled their romance in June, but the couple is said to have broken up for the second time a few months later. Rumours of a second split surrounded the pair last November, when Zayn was not seen in the audience of the Victoria’s Secret Fashion Show to cheer on Gigi, as he has done in previous years. 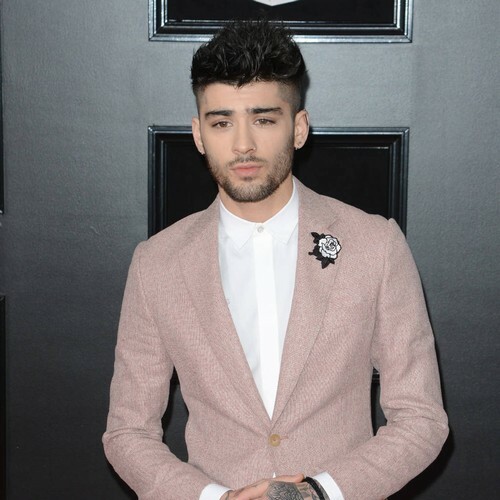 The model was also noticeably absent from the bash that the British singer hosted for his album Icarus Falls in December, while Zayn appeared to be a no-show at Taylor Swift‘s fancy dress New Year’s Eve party.